Filmmaker & Hip-Hop musician, Rafael Flores, conducted 6 years of research to create the original documentary about underground Seattle Hip-Hop culture. 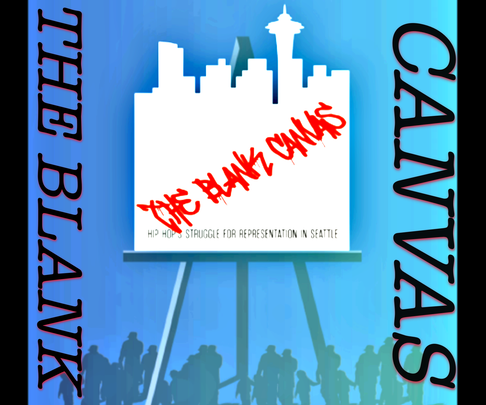 Since 2004 he has interviewed over 100 rappers, producers, DJ’s, gaffitti artists, disk-jockeys, break-dancers, fashion designers and promoters to tell the real story of underground Hip-Hop in Seattle. The film attempts to document the unique identity of Hip-Hop culture in Seattle as it takes us on a journey that investigates the origins of Hip-Hop culture in Seattle, the legacy of Sir-Mix-a-Lot, the notorious 1985 Teen Dance Ordinance, Clear-Channel’s dominance over commercial Hip-Hop radio, the increasing popularity of white rappers in Seattle and it’s struggle for representation in a seemingly liberal city.